On the 30th of June 2009 the bodies of Rona Amir Mohammed and Zainab, Sahar, Geeti Shafia were found submerged in a car in the Rideau Canal in Kingston, Ontario. Rona was the first wife of Mohammed Shafia and had given him no children, while Zainab, Sahar and Geeti were the children of his second marriage to Tooba Yayha. The family was of Afghan descent and after moving to various countries they immigrated to Canada. Rona was apparently seeking divorce from Mohammed while Zainab, 19, was in an unapproved relationship. Mohammed, Tooba and their son Hamed were all convicted in the murder of these four women and are now serving time for their crime. In the past few years Canadians have become acquainted with the crime of honour killings. In the year 2000, there were 5000 estimated cases of these so called “honour killings” in the world. Due to the under- reporting of this crime many more may have been committed. In Canada, it is estimated that at least 15 Canadian women have been murdered in these so-called honour killing crimes. Many more “honourable” assaults have been committed against women. What is an “honour” killing; how is a crime determined to be an honour killing? The Department of Justice defines it as “Premeditated killings of family members, primarily women, who have brought shame or dishonour to their families…” This shame can allegedly result from actions counter to cultural or religious beliefs, including: a relationship with someone not approved by the family, disobeying one’s parents, adultery by the wife, or marrying someone without your father’s permission. Many believe these are Islamic practices; however so-called honour killings are not unique to any society. They have been reported in Afghanistan, Brazil, Israel, Italy, Norway and Sweden. In Canada an honour killing is treated as pre-meditated murder. Canada may be a multi-cultural society but our country has laws that must be followed, “honour” is not a defense when it comes to murder. The highest profile cases of honour killings in Canada have been those of Aqsa Parvez, Jaswinder Kaur Siddihu, and the Shafias. These cases all involved young women who somehow went against their family’s “honour”, the youngest girl was only 13. These crimes are becoming more prevalent in our country and they have even touched our own province. On March 20th, 2014 a young woman was assaulted by her father in St. John’s for wanting to marry a Newfoundland man. Khalaf Alshaeksaw saw this assault as protecting the honour of his family and “a form of discipline”. Instead of serving jail time for his crime, both he and the rest of his family were deported. These so-called “honour”-based crimes need to be dealt with by jail time, not deportation. More needs to be done to show people that this is an unacceptable practice. Murder is murder no matter what excuse you hide behind. Department of Justice. 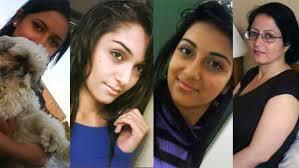 Preliminary Examinations of so-called “Honour Killings” in Canada. Keeping, Janet. “”Honour Killings” in Canada: What needs to be said? What needs to be done?”. Gender, Culture, Religion: Tackling some difficult questions. Sheldon Chumir Foundations for Ethics in Leadership. 2012. Gillingham, Rosie. “Man says he assaulted daughter as a means of discipline”. The Telegram. Published March 25th, 2014. Daly, Brian. “Honour Killings on the Rise in Canada: University study shows 12 honour-killing victims in Canada since ’99”.Toronto Sun. 26th January 2012. Web. Muhammad, Amin A. “Magnitude and Dynamics of Honour Killings-The Local Perspective”. 2011. Memorial University. Lecture. Mitchell, Bob, Noor Javed. “I killed my daughter…with my hands.” Toronto Star.